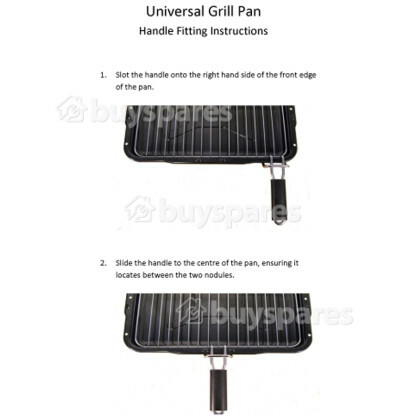 This Universal Grill Pan is suitable for most makes and models of oven and is a great alternative to genuine parts. 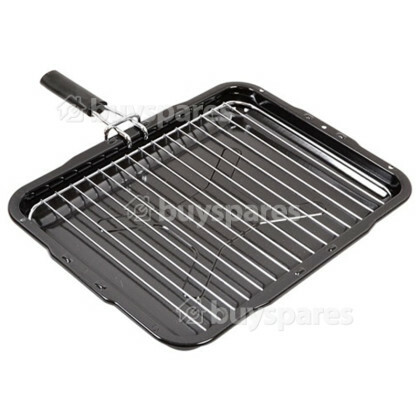 The Electruepart Grill Pan is all you need for grilling, searing, roasting and finishing meat, fish and vegetables. 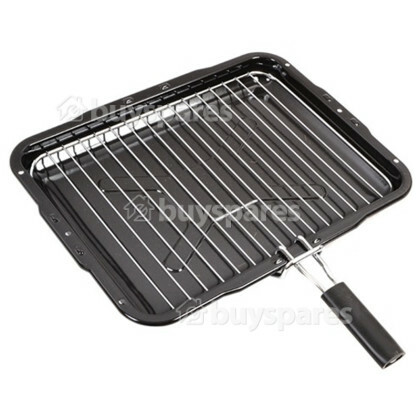 Comes complete with griddle and integrated handle, making it great for grilling meat and fish. Be sure to check the dimensions to ensure that this product will fit your appliance. Please Note: The handle can be fitted to any side of the pan, and once placed on can be positioned as to where you require it - as best suited to your appliance.